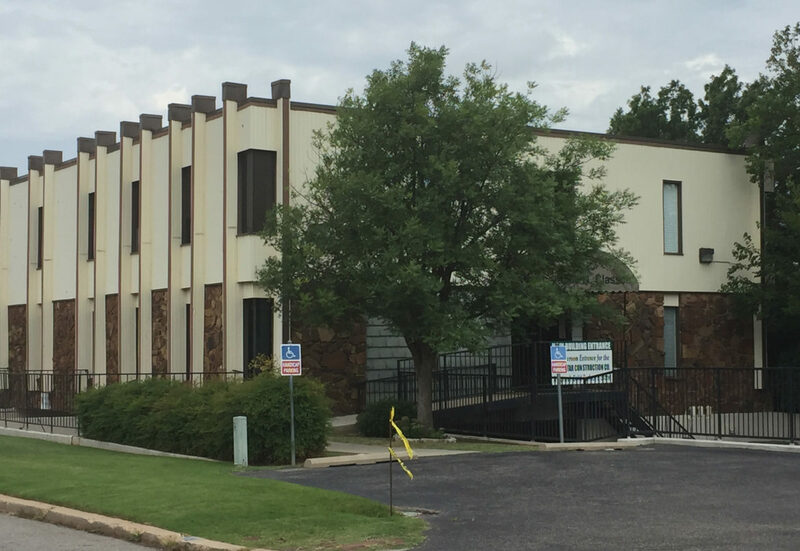 ABLE Charter School's administrative offices are located in an office building on North Classen Boulevard in Oklahoma City. Oklahoma education officials are taking their first action ever to shut down a virtual charter school, but the school is fighting the effort. The five-member Statewide Virtual Charter School Board, the sole authorizer and sponsor of online charter schools, has moved to terminate its contract with ABLE Charter School for noncompliance with the law. ABLE, whose offices are in Oklahoma City, is the newest and smallest of five virtual charter schools in Oklahoma. The board voted May 10 to terminate the contract based on a report from Executive Director Rebecca Wilkinson, who voiced a number of concerns with the school. Those concerns include inadequate financial reporting, failure to comply with the Open Meeting Act, inability to maintain a four-member governing board and inadequate organization. ABLE Charter School’s superintendent, Kenneth Kuczynski, said he feels the termination proceedings are unwarranted given that the school is in its first year, serving 6th through 12th graders. “It’s a new year for us, it’s a first year for us, and so we’re trying to abide by the regulations every step of the way,” said Kuczynski, the school’s co-founder. He said he plans to fight to keep the school open. As of last year, 9,956 students were enrolled in virtual charter schools in Oklahoma, according to the state Department of Education’s Oct. 1 enrollment count. Virtual charter operators say their learning methods and flexible schedules are ideal for many types of students, such as athletes, musicians, teenage moms, chronically ill students and victims of bullying. Critics say virtual schools lack transparency and don’t have a successful track record in student outcomes, as evidenced by standardized test scores and high school graduation rates. A letter grade is not yet available for ABLE, since the latest A-F report cards are based on 2014-2015 test scores. At the May board meeting, Wilkinson outlined a number of specific deficiencies in recommending that the ABLE school be shuttered. One of those was that the school did not open a suitable administrative office until Sept. 14, 2015 — weeks after school had started. “It’s important if you’re taking public dollars, the public has access to the school,” she told the board. She also expressed concerns about student turnover. Of the 93 students enrolled at the start of the school year, just 12 remained in the program for the full year. ABLE ended the school year with 45 students, reflecting new enrollments throughout the year. Additionally, the school’s student and employee handbooks were copied from ones in other states rather than created specifically for its organization, Wilkinson said. Wilkinson said the school board failed to notify the public of its meetings several times, and once held a meeting without the required four members. Kuczynski said ABLE received high marks on its recent accreditation visit by the state Department of Education. The accreditation officer found no deficiencies and recommended the school be accredited, which the state Board of Education is expected to vote on at its July 28 meeting. Regarding the Open Meeting Act, a check with the Oklahoma County Clerk revealed that ABLE staff gave proper notice of its upcoming board meeting on Monday (July 11), as well as other meetings and cancellations. School board members also attended a training session on open meetings in April. ABLE is attempting to replace one board member who resigned recently due to illness and add another, Kuczynski said. It currently has four board members. The school has hired a new encumbrance clerk and is vetting accounting firms to provide professional accounting services. ABLE was formed by a group of former educators who felt there was a need to address students who were “falling through the cracks,” Kuczynski said. The school aims to target homeless students, who tend to bounce from school to school or have spotty attendance. Kuczynski said the school’s efforts to serve this population explain why many students didn’t finish the school year. He added that unlike larger virtual schools operating in Oklahoma, ABLE isn’t run by a for-profit company. “We’re going through growing pains because we’re trying to do this, not only on a shoestring budget, but with all the different things that are being thrown at us to do,” he said. A final hearing on ABLE’s contract is scheduled for Sept. 13 at 1 p.m. at the Oklahoma Statewide Virtual Charter School Board meeting. The school can appeal the board’s decision to the state Board of Education. Three years after the governor ordered an investigation into the state’s largest virtual charter school, no charges have been filed. But after an inquiry by a reporter, the Oklahoma State Bureau of Investigation said it is now “re-interviewing” people in connection with the probe.